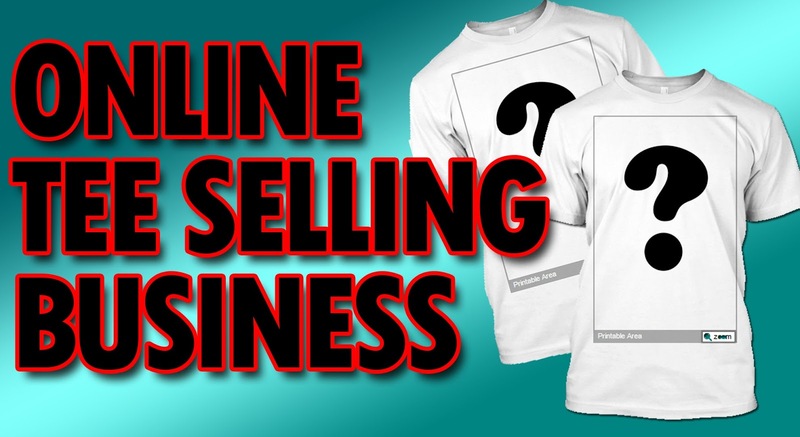 After a great research i have reached somewhere to share my bit of experience with you guys which might help you.Its very big market of T-shirts online,if your biggest concern is inventory,payment issue,delivery of product- then your best option is print on demand and deliver that is it simple way and they will give you the part of the profit. What all needed and where to start from? It is not a big deal you just need a computer,internet connection and some designing skill with you. I would suggest you to start with some basic text based T-shirt instead of having big designs,start slowly once to get into the market and make your stand in market you can hop into to different design but be sure your are not using some copied design because might lead you to some legal issue. How to start my own e-commerce store? you need to start do not expect sales from very first day you need to have some patience and time will pay you. Once you have registered yourself you need to add your bank details or you can also opt for the paypal option which is very simple if your going for oversea sales,once your product is delivered you will get the amount in your account with some cuts made by the company you are selling for. Logistics and delivery of product? If you like it do comment share! !